He seems to have led a charmed life, but he’s also got quite a hard-luck story. 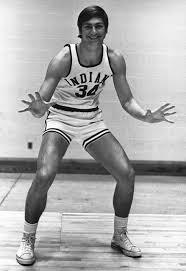 One of Bob Knight’s first recruits at Indiana, he got in on the ground floor of a basketball resurgence. As it turned out, he was a year too soon. He graduated in 1975, a year before the undefeated national championship season. He had to settle for an undefeated regular season and a loss to Kentucky in the NCAA tournament. 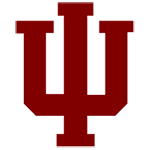 Had Scott May not broken his arm, IU likely would have won the championship then, too. Still, Green went on to a four-year career in the ABA and NBA, then became a dentist. He never saw himself as a can’t-miss pro, so he prepared himself for another career – and probably enjoyed basketball more, because he had a fallback option. He didn’t have to play with a desperate mindset. He’s one of the greatest shooters to come out of the state, but often gets forgotten in that conversation because he was shooting mid-range jumpers rather than firing from another zip code. This studio conversation highlights his beginnings in the game, playing for his father in southern Indiana, the devastating end to his college career, and the pro career that included a stop with the infamous Spirits of St. Louis before reaching the Pacers.